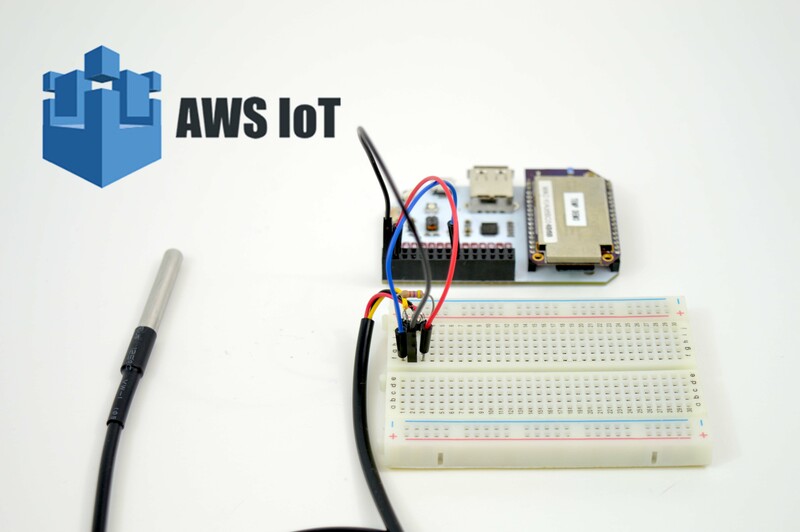 Last week we showed you how to super easily connect your Omega to an AWS IoT Thing. This week, we’re gonna take the next logical step, and show you how to push sensor readings to AWS IoT at an interval. This is one of the main use-cases of AWS IoT and we just know this tip will inspire many great IoT projects. 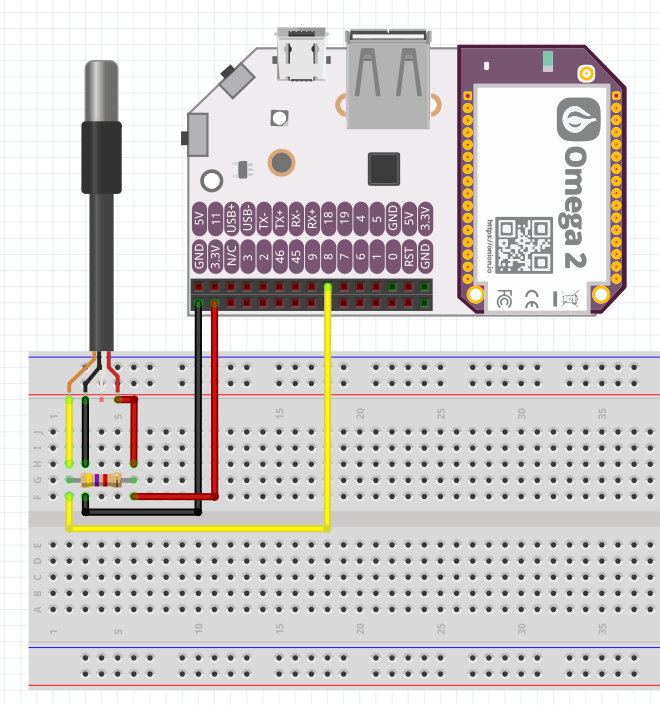 Our sensor of choice is a 1-Wire temperature probe, so this tip will cover how to wire up the sensor, configure the Omega to register the sensor at boot, and set up a script to publish the sensor readings to AWS IoT. Let’s dive in, shall we? See our 2-Bullet Tuesday tip on using a 1-Wire temperature sensor for more details on 1-wire sensors. Ok, moving on to the software. All of the relevant code can be found in our aws-temperature-sensor repo on GitHub. To start, we’ll setup our Omega to automatically configure a 1-wire bus master on GPIO18 (where we’ve plugged in our temperature sensor) at boot time. We’ll do that by adding a file to /etc/modules.d. While the Omega is booting, it will look at that directory for kernel modules that should be loaded before the boot process is completed. Now reboot your Omega, and if everything went as it should, there should be a /sys/devices/w1_bus_master1/ directory. Prerequisite: In order to be able to publish temperature readings to AWS IoT, your Omega will need to be provisioned to connect to a Thing on AWS IoT. Luckily, last week’s 2-Bullet Tuesday tip was a single command to do just that! Follow the guide and configure your Omega as a Thing on AWS IoT. If you’re interested in learning how the script works, take a look at the code on GitHub. Restart the cron daemon, /etc/init.d/cron restart and you’re up and running! Your Omega is sending the sensor reading to AWS every 5 minutes, opening the door to some pretty awesome stuff on the AWS side. Stay tuned, next week we’ll explore some of that awesome AWS stuff!